Heya Everyone! Hope you are all well and ready for another weekend. How gorgeous has the weather been these past couple of days? Today I didn't even need a coat to go out shopping because it was so nice and warm and sunny! I still managed to wear one anyway because we are in the UK and you can just never be too careful with the weather. I've also heard that this weekend is going to be even warmer and sunnier so I am definitely looking forward to that especially as I have the house to myself. So I can get the little swinging chair out and just spend the next two days reading, blogging, watching videos. I can't wait. 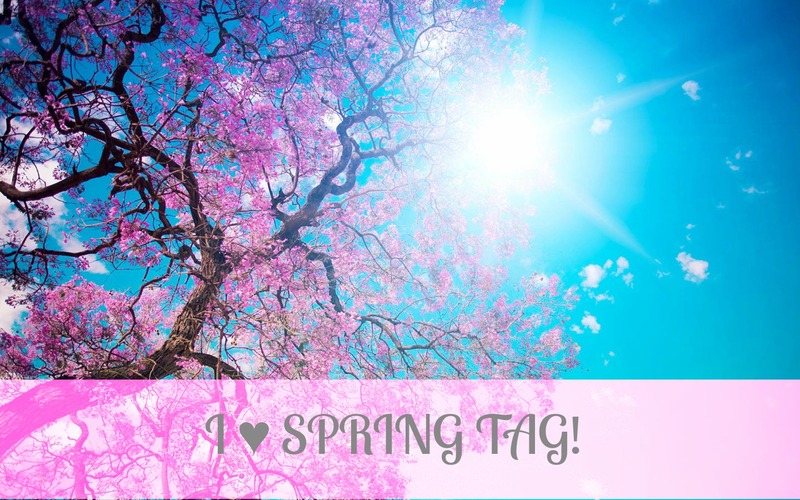 This gorgeous weather just screams Spring has arrived and we are finally passed the cold winter days so I thought why not kick things off with an I Heart Spring Tag on my blog. I haven't seen these on anyone else's just yet so I hope you enjoy this post. The questions have been taken from the gorgeous Ingrid aka Miss Glamorazzi's 'I Heart Spring' tag video which you can find HERE. Mint Candy Apple 100%! Funny this should be the first question. Today I went on another little shopping spree (don't worry I didn't go crazy) and whilst in Superdrug spotted an Essie polish set. I first saw Lily Pebbles notify the beauty community about this set which contains a Mint Candy Apple polish as well as a sparkly nail polish called Sparkle On Top which contains a lot of pastel colour sparkly particles. The minute I saw it I ran over and picked it up. It's going to be the perfect combination for Spring and possibly even Summer. I also love Greenberry and Grapefruit from the Barry M Gelly Hi Shine range. I know spring is supposed to be a time for bright colours but when it comes to my skin tone brights really do not suit me. I don't think anyway. However, I really do love the Revlon Lip Butters in the shades Sweet Tart and Sorbet. Neither look overly bright on me, but do add a nice pop of colour. I do however need to apply these really lightly and blend them out as this gives the best finish for me. I'm definitely not a dress person. I'm more of a jeans and t-shirt girl or long top and leggings girl. I guess this is because I'm pretty self concious about my body at the moment. My aim is to drop at least one dress size. Once I've dropped that dress size then I will definitely start wearing a lot more dresses. Not at the moment though! I absolutely love all flowers around spring time. Everything just looks so much more beautiful. 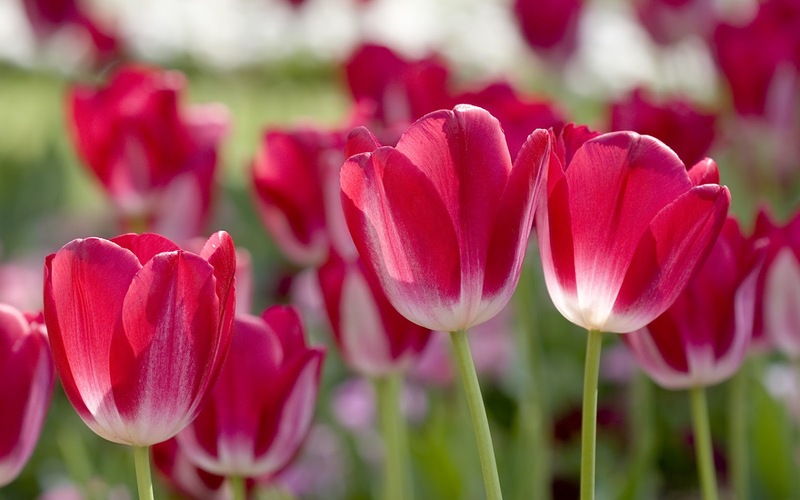 I love tulips, bluebells and daffodils. I don't like yellow at all but there is just something about daffodils that just makes me love them so much! I am also a huge fan of daisies. This goes way back to when I was a little kid and my parents made me and my brother spend ages playing in the garden. I used to have my own special corner of the garden where I used to sit and make daisy chains all the time. Just brings back a lot of good memories I had as a child when I see daisies. Mint is probably my favourite colour when it comes to accessories. So when I spotted a beautiful mint statement necklace on The Jewel Shack website the other day I placed an order for it immediately. I haven't yet received it but when I finally have it I know it will be a firm staple this Spring! I've popped a photo of the necklace over on my instagram which is xbellefleurx so head on over there if you want to see the necklace I'm talking about. If you would like to purchase it then head on over to their facebook HERE as this is where you'll need to place your order. Pastels. Literally anything that is pastel coloured or has got a collar will be making its way into my wardrobe as I just think these are absolutely perfect trends for spring. Now is the time to head to your local stores and pick up everything pastel coloured as this is when they are starting to stock up a lot! I recently bought two new yankee candles for spring. One of them is White Chocolate Bunny which is a candle created for Easter and it smells absolutely amazing. Like chocolate dessert being baked in the room. I just love it. I also love Honey Blossom as well. This contains nectar, honey musk, and feesia and is just such a gorgeous but relaxing spring scent. This is my favourite spring and summer scent but it has got to be the Mango Body Spray from The Body Shop. I just absolutely love this scent. If you hadn't already guessed I absolutely love the mango range from The Body Shop. It's literally all I buy when I go in there and yesterday I managed to get a bottle of the mango body mist for only £2.50! It's such a gorgeous sweet but not too overpowering scent and just makes me feel so spring and summery. I live in London so Spring is pretty much a mixture of rain and sunshine. Everything looks so pretty as well from the pretty flowers you see in different gardens to the bright and pastel clothing that people where. I just really love Spring. I just love how colourful everything is. Everything is very pretty and there's lots of pastels around. It's also a lot warmer so you don't really need to wear jackets or coats which is a definite bonus. 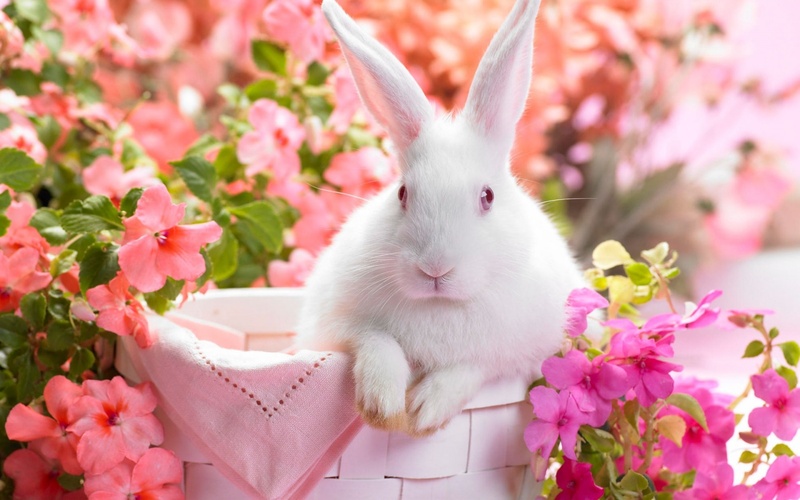 Spring always means Easter! 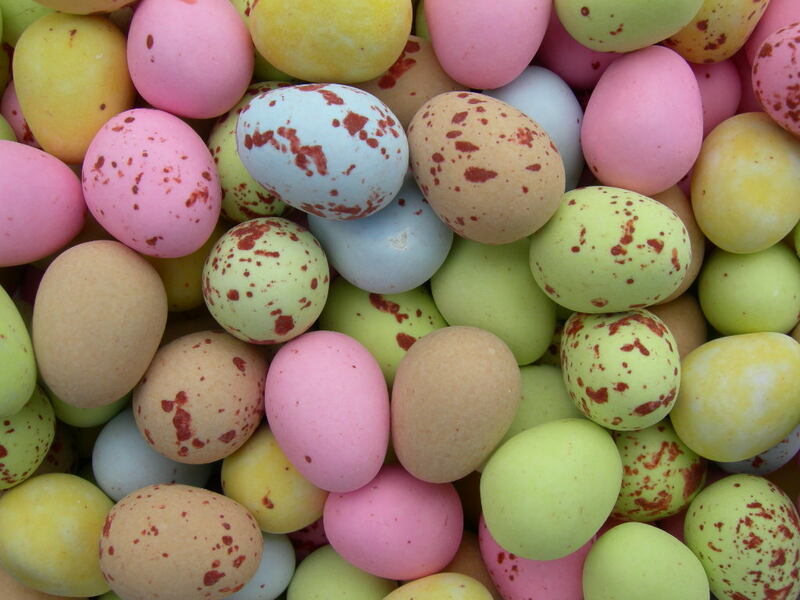 Mini eggs are my favourite thing about Easter and they are back in season by the time spring comes around. I just absolutely love them. I think I've consumed about 6 bags already this year. Oops? Yes. I always need to give my room and the rest of the house a good clean. It just makes me feel better. However, I practically clean every single day anyway so the house never really needs a special 'spring clean' really. This Spring I will actually be heading off to spend the remainder of the season, the whole of summer and the beginning of October in Turkey. From the 15th to the 25th April I will be heading off to Majorca for training for my new job which is an Overseas Kids Representative. I'm super excited to head out there and start working and finally start earning money. I will have a detailed post going up on my blog in the next couple of weeks. I hope you enjoyed reading this post! I tag everyone reading this post to do it. The photos above are not mine. They were all found on Google Images. The very first photo was edited by me so feel free to use that for your own blogs if you decide to do this tag. Don't forget to leave your blog links below so I can check them out!